I have mixed feelings about my three minis aging. Some days I struggle with it (as was the case yesterday), while other days I enjoy all of the benefits that come with older kids. There are moments where I miss them needing me, needing me to show them the world. Other days I love that they can navigate through the world (somewhat) themselves. Then there are the days that I get to witness the things I have taught them being put to use. I got to experience the latter this morning. 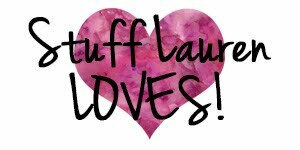 Sunday's are my favorite day of the week. I'm particularly fond of our Sunday Family Fun Days but this was not one of those Sunday's. We had stayed home most of the day yesterday due to the constant rainfall. Plus, the minis told me they didn't want to do anything this weekend. I threw out a couple of ideas, but they were all shot down. So, I set myself up for a me Sunday morning. Hubs was working on a house project, I made myself a me breakfast (read: a vegan breakfast), ate it in bed, while catching up on reading. I had magazine articles saved from last spring that hadn't been studied and books that I've been meaning to read all summer but hadn't gotten around to. I lazily laid in bed and read all morning. At noon I made my way downstairs to order pizza for everyone for lunch. I was greeted with three happily playing children. 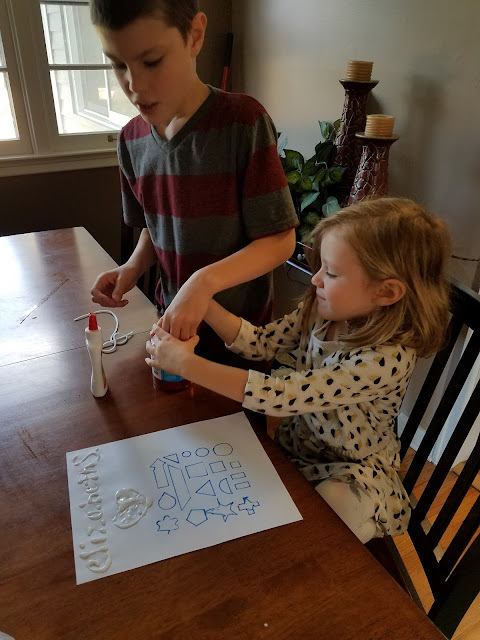 For the past three hours they had painted, practiced piano, eaten a snack (of fruit nonetheless), did a few science experiments, played hide n seek, made necklaces, and cleaned it all up. "Wow, looks like you guys have had a fun morning," I said, contented that they had managed to play together for three hours and no one was missing an eye. 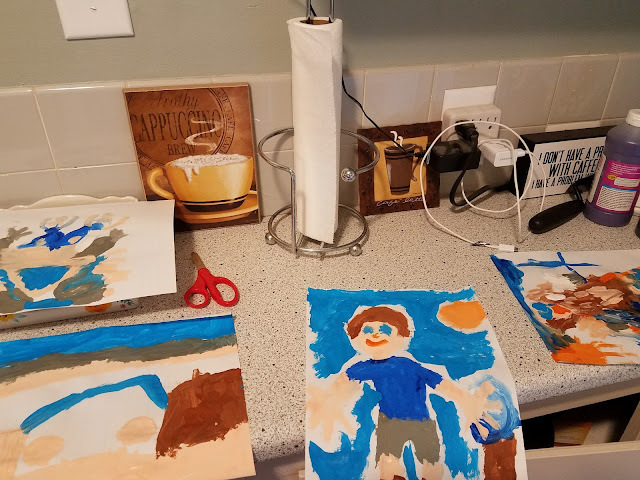 "Yeah, I've just been running daycare for the morning," replied my oldest, as he finished wiping up the table from the fresh paint that was spilled while painting pictures. It was then that realized what I was actually seeing. They were old enough and more than capable to do things themselves. They had witnessed me doing these things a thousand times, every day for nearly seven years. When left to their own devices, they simply followed a routine that I have followed Monday - Friday. Instead of watching three hours of Netflix, they did what I do with them (and other kids) every day. I was given a chance to see what I had unwittingly been teaching them over the years. After a tough Saturday, where I was saddened by my grown children, I was pleased with this sweet spot we are in. 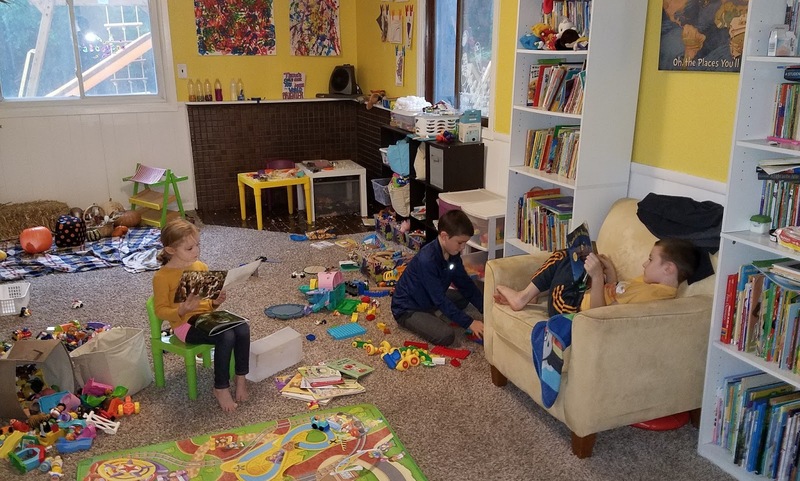 This sweet spot where my kids are still young enough to need me, though not in the tiring capacity as they did when they were in the toddler/preschool years. 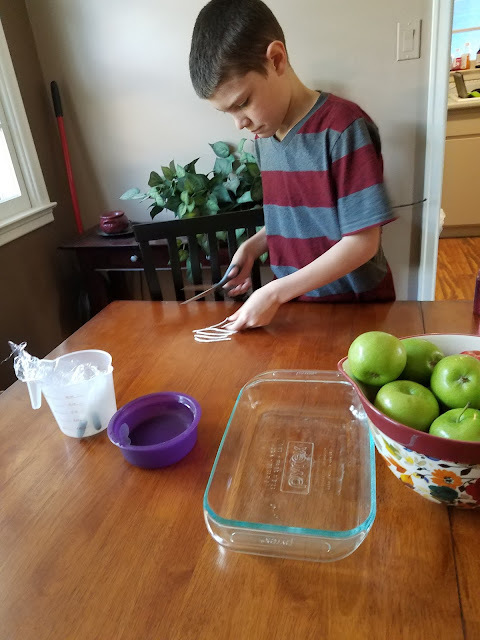 This sweet spot where they're old enough to do things for themselves (until you've said the words, "make the sandwich yourself" you won't understand the freeing feeling you get), entertain themselves, and actually be of help around the house. The Sweet Spot isn't without it's difficulties. They are also old enough to have opinions, very vociferous opinions and ideas that you can no longer talk them out of as you can when they are younger. The Sweet Spot is also a bittersweet spot, as it means they're growing up. Our oldest is nearing the end of the sweet spot and heading into the preteen years. I know soon he'll no longer get excited by our Mom and Minis Days and I'm fully anticipating the eye roll when we declare it Sunday Family Fun Day. The Sweet Spot is a transitional phase that doesn't last long (not nearly long enough for me). For now, I'll relish in this sweet spot. I'll relish in the fact that I'm teaching them valuable skills and lessons. Most importantly, I'll relish in the fact that I got time to myself without interruptions AND my house got picked up by someone other than me. The Sweet Spot indeed. The oldest helping the youngest with her glitter (that I'll be finding throughout my house for the next year). Their paintings, that they neatly laid out to dry. Science experiments. I did help get the glass dish down from the highest shelf in the cupboard. 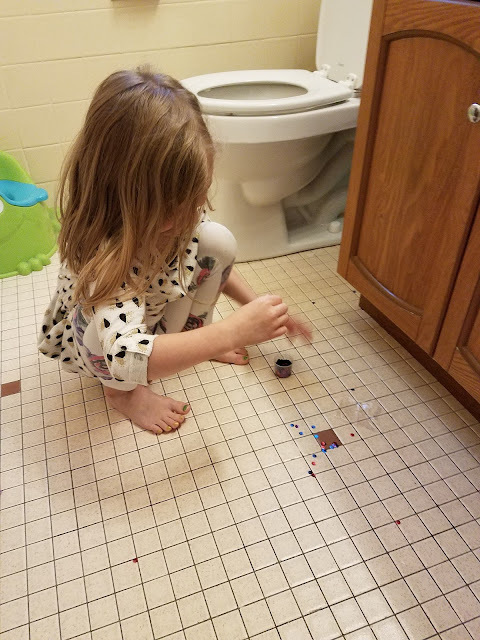 The biggest disaster was when a medicine cup full of beads and sequins was spilled in the bathroom. I didn't ask why they were in a medicine cup because, truth be told, I didn't want to know.